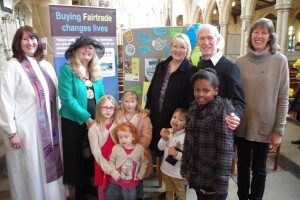 The Fairtrade Churches Project – Making a difference to Fair Trade in Hull. 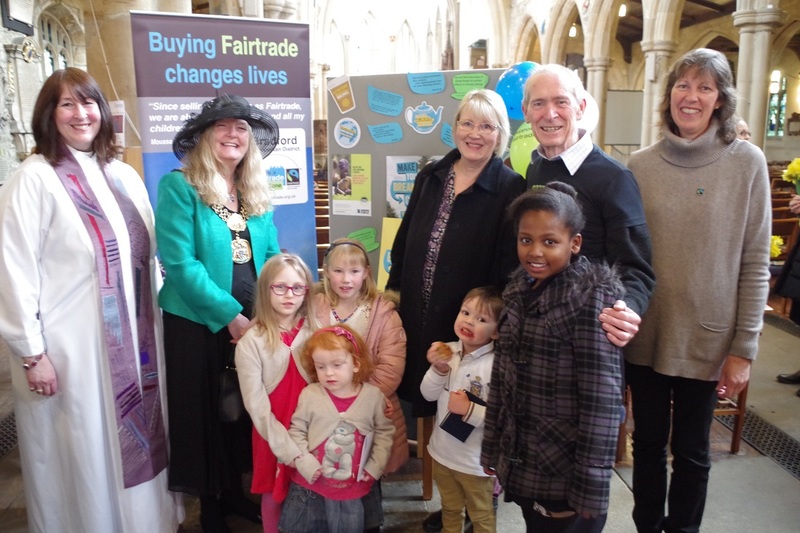 The Fairtrade supporters in the churches are now working together to ensure that Fairtrade stays high in the priorities of all churches in the area. Fairly Traded products are high quality, – because the farmers choose the best of the best for Fair Trade. Fairtrade consumable products are readily available – see our directory of retail outlets on our website. Fair Trade is growing – join us and make the world a better place for everyone, but especially for those who need it most. 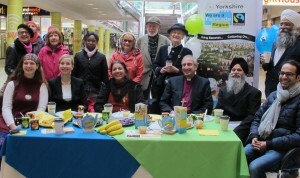 The Church of England super Diocese of West Yorkshire and the Dales has voted to work to become a Fairtrade Diocese. 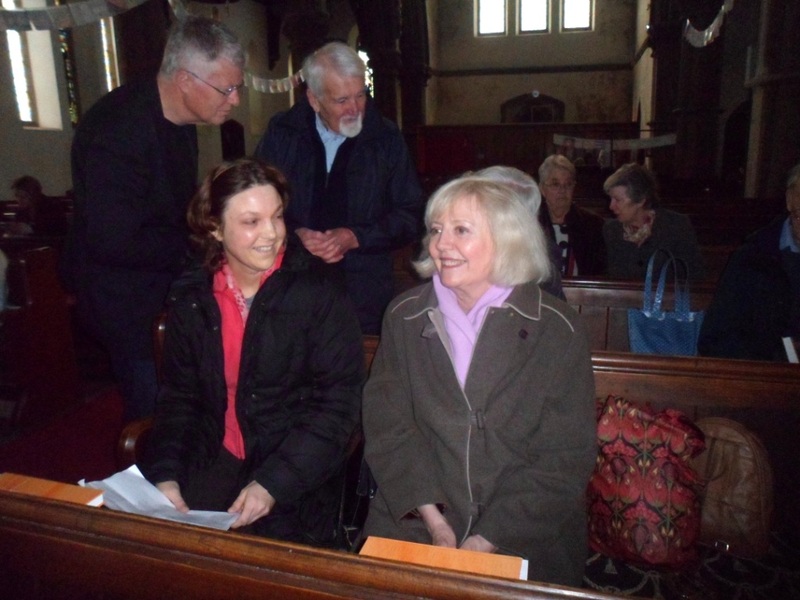 A vote was taken at the Diocesan Synod on March 12th. 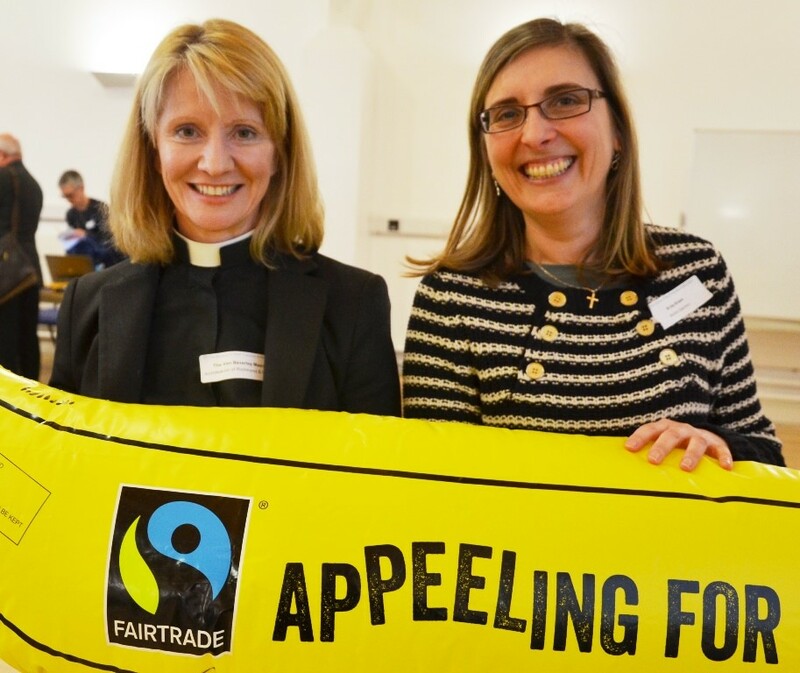 Synod members enthusiastically supported a motion to work towards becoming a Fairtrade Diocese by writing to all churches asking them, where not already registered, to register as a Fairtrade Church. 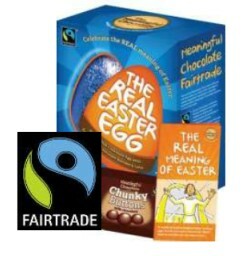 A letter will also be sent to all Church of England schools asking them, if not already registered, to register as a Fairtrade school – and a Fairtrade steering group will be set up to steer the registration of the Diocese as a Fairtrade Diocese. 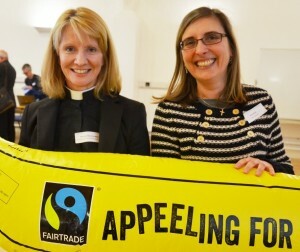 The motion was put by Ven Bev Mason, Archdeacon of Richmond and Craven, pictured left with Kay Brown, Chaplain of Abbey Grange School who talked about the way schools can imaginatively adopt Fairtrade status. The vote follows a campaign by Fairtrade supporters including: Barbara Judd, Heather Grinton and Rev Tina Walker who have worked hard to raise the profile of Fairtrade across the Diocese. Rev Tina said that she was ‘absolutely delighted and thrilled’ by the result of the Synod vote. 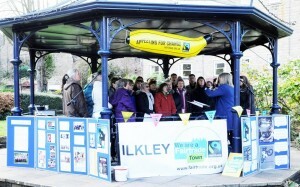 Collaboration was the order of the day on Saturday 5th March when Ilkley Fairtrade Group, Ilkley Soroptimists and local Girlguiding Rombalds District leaders organised an outdoor four hour ‘Big Fairtrade Breakfast’ event at Ilkley bandstand. Free Fairtrade hot chocolate, orange and apple juice were on offer, as well as freshly cooked pancakes with a range of Fairtrade toppings. 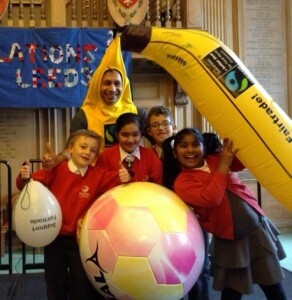 The drinks, bananas and pancake ingredients were kindly donated by the Co-op, M&S, Booths, Tesco and Greggs. There was a rolling programme of bandstand entertainment featuring The White Rose Chorus, Ben Rhydding Primary School choir, Ben Rhydding Community Choir, Leeds Briggate Morris dancers and a local saxophonist. Traidcraft items were on sale and the Ilkley Co-op manager raffled a hamper of Co-op Fairtrade goods. £400 was raised from breakfast donations and the hamper raffle, and was sent to a Fairtrade project in Kenya helping women earn an independent income from coffee farming. The funds went to this specific project to mark International Women’s Day and highlight the work that Fairtrade does to promote women’s empowerment and gender equality. 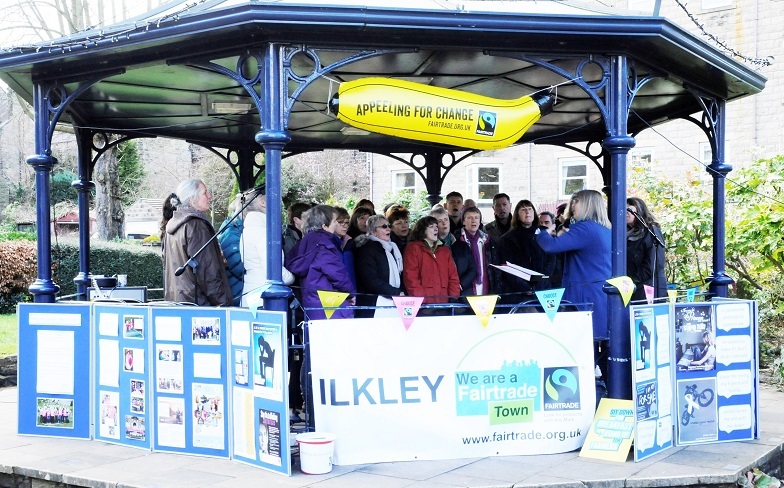 Two local churches organised Fairtrade breakfasts during Fairtrade Fortnight, and Ilkley Fairtrade Group had one of the community stalls at the inaugural ‘Real Food Ilkley’ market on Sunday 6th March. The new market was a great success and provided the opportunity to explain how Fairtrade and local go hand in hand, helping support farmers both near and far. More than 60 Fairtrade breakfasts were served in St John’s Church Hall, Baildon, on Saturday 19 March. Children from the uniformed groups had decorated paper plates with a Fairtrade breakfast and these were hung along Fairtrade bunting around the hall. Tables were set with Fairtrade products donated by the Co-op, marmalade made by members, and locally produced milk and butter. Naturally some children brought along their parents to see their plates and a warm welcome was provided. All expressed their pleasure in the breakfast and seven people expressed an interest in joining the local Fairtrade group. 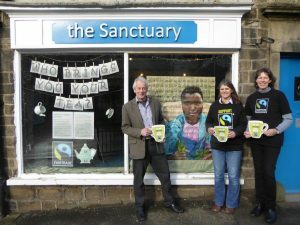 This event was also an opportunity for Baildon Friends of the Earth and Fairtrade Group to work together to communicate our shared concern for the world-wide issue of sustainability – protecting the environment and tackling climate change. A superb display on Fairtrade and the Sustainability Goals was on show as well as a Fairtrade stall. Thanks to the generosity of the Co-op, Baildon Fairtrade Group has been able to send £160 to the Traidcraft Exchange fund. An enjoyable and successful event raised funds to support producer projects around the world. 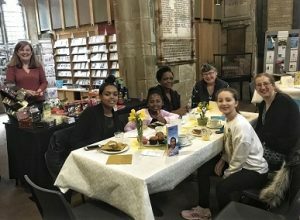 With sunlight streaming through the West Window, 54 people sat down to enjoy a Fairtrade Breakfast, as well as locally produced milk, butter, bread and honey. Following the morning Eucharist service, the Lord Mayor, Councillor Joanne Dodds, cut a Fairtrade chocolate cake to celebrate the 10th anniversary of Bradford Fairtrade Zone. The Lord Mayor endorsed the decision of the Council meeting on 19th January this year, when it was overwhelmingly agreed that Bradford Council should renew the commitment to Fairtrade. Business and community leaders met for a networking and information Fairtrade breakfast hosted by M&S in their Broadway store café. 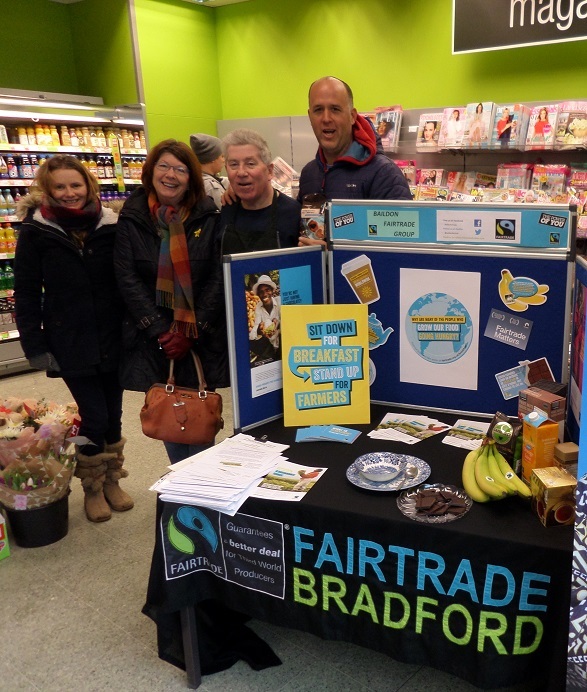 Presentations on Fairtrade and the Bradford Fairtrade Zone were given by Mike de Villiers and Karen Palframan, and the commitment of M&S to support, through Fairtrade, their producer communities was given by Chris Farren, M&S operations manager. 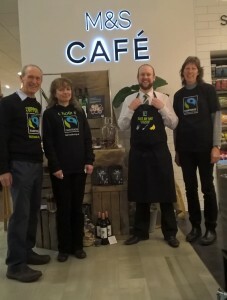 Councillor Adrian Farley, the leader of a renewed commitment by Bradford M.D.C. to support Fairtrade and Bradford Fairtrade Zone, expressed his pleasure at the success of the venture in raising awareness at a venue in the city centre. Watch the Fairtrade Fortnight video from M&S. 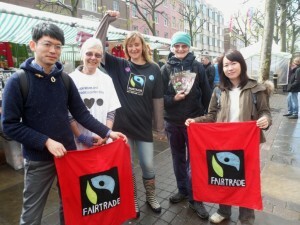 Baildon Fairtrade Town Stall in Northgate Co-op, Baildon, West Yorks, Friday March 4th. 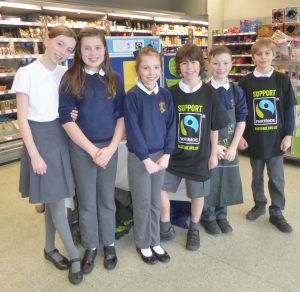 A Fairtrade Breakfast display and samples of chocolate engaged shoppers to discuss the benefits of Fairtrade. As well as signing up to hold their own Fairtrade Breakfast, many shoppers came back to the stall to show us what Fairtrade products they had purchased for the first time. We registered 645 Fairtrade Breakfasts, the number including many shoppers who would be having a Fairtrade Breakfast each morning for the rest of the Fortnight. The Diocese of West Yorkshire and the Dales are holding another poster competition ahead of Fairtrade Fortnight 2016. 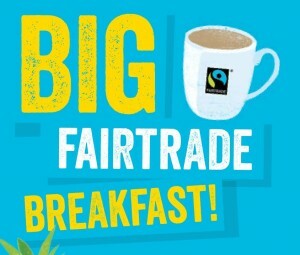 Simply design an A4 poster promoting a Fairtrade Breakfast – and remember to include the Fairtrade Mark! This competition is open to individuals, schools, colleges and groups of all ages within the Diocese of West Yorkshire and the Dales, which covers Bradford, Huddersfield, Leeds, Ripon and Wakefield (see a map of the Diocese here). The closing date is March 21st. Prizes will be awarded in three Age-groups: Pre-School & Primary School Age, Secondary School Age, and Adults (18+). To enter, scan the original artwork and email it to Tina Walker at tinalet@hotmail.com. The name of the artist, their age-group and their organisation should be written on the artwork, so that each piece is clearly identifiable. Certificates & Fairtrade Mini-hampers will be awarded to the winners. Read more at the Diocese website. Horsforth has become Yorkshire’s newest Fairtrade Town. 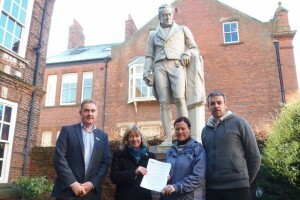 The town on the north western edge of Leeds fulfilled all five goals in order to be awarded Fairtrade status. 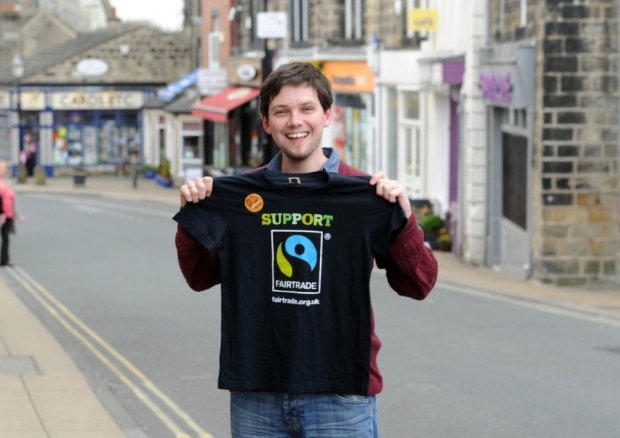 The Fairtrade Town campaign, coordinated by Baptist Minister, Rev Matt Wright, engaged with all sections of the community, including community groups, workplaces, businesses and the local media. 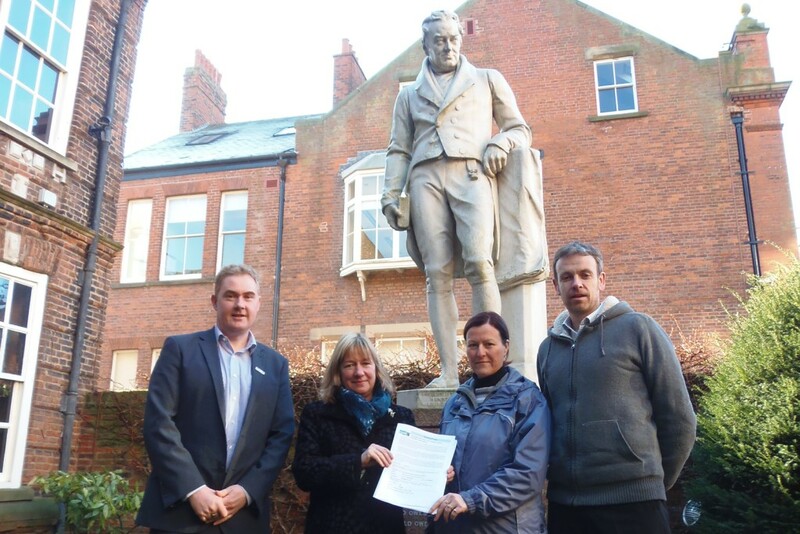 The Town Council was supportive and Councillor Janice Pritlove acted as the Council’s representative on the Fairtrade Steering Group that campaigned to achieve the status. Churches Together in Horsforth also took up the baton to help the town to make this amazing achievement. 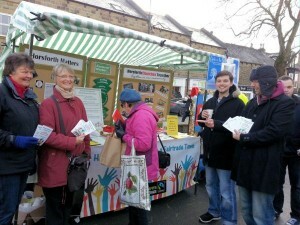 Many events were held in the run up to the status being awarded, including regular stalls at the Horsforth Farmers’ Market. 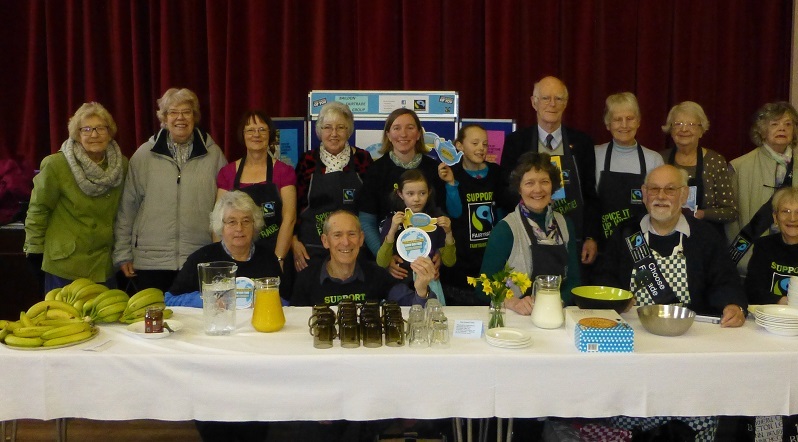 Matt Wright’s culinary skills were put to the test at a pancake making event and local MP Stuart Andrew came to the market to support the Fairtrade campaign. The Church of England Diocese of West Yorkshire and the Dales – which covers Huddersfield, Wakefield, Leeds, Bradford and Ripon – is running a poster competition open to anyone living in the diocese. Simply design an A4 poster in any medium advertising Fairtrade chocolate or Fairtrade cocoa. To enter, scan the original artwork and email the image to Tina Walker at tinalet@hotmail.com. The name of the artist and their age-group should be written on the artwork, so that each piece is clearly identifiable.